In 1999, a seminal study was performed by the Institute of Medicine which identified that 44,000 to 98,000 deaths each year result from medical errors. Unfortunately, over the almost 2 decades since, not much progress has been made. It seems that despite our high-tech society, we are losing our touch. A review study revealed that a majority of those deaths were from surgical patients who did not follow the standard trajectory. The researchers looked at 5 core elements as being the key components of what they call “successful rescue” of surgical patients. The clinicians interviewed stated that recognition of complications and communications are the most important. They talked to these clinicians many of whom said they had “hunches” that something was going wrong yet did not feel comfortable in communicating this information. This is the “T” in GIFTS, trusting your gut. 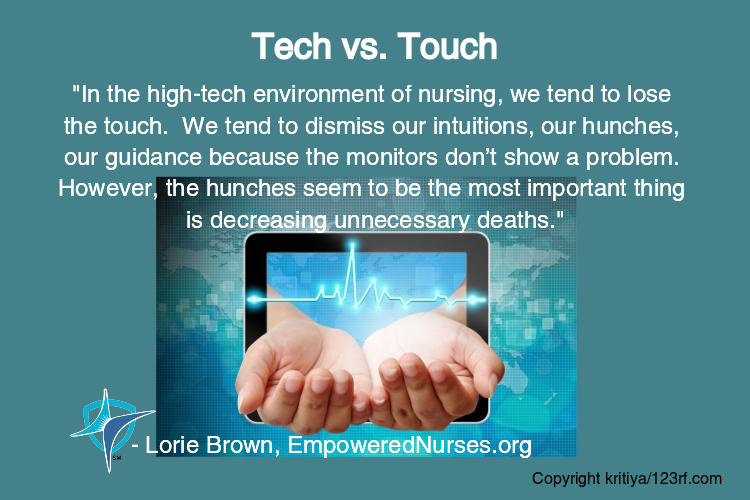 In the high-tech environment of nursing, we tend to lose the touch. We tend to dismiss our intuitions, our hunches, our guidance because the monitors don’t show a problem. However, the hunches seem to be the most important thing in decreasing unnecessary deaths. By using your GIFTS in communicating your hunches, you can improve patient care. Just remember to be G-giving to the physician, ask for what they need. This is also giving to the patient. Be in I-integrity. By dismissing your hunches, you are not being in integrity. F-focus and follow through on the result you want. Be solutions based and ask for the help your patient needs. T-Trust your gut. Your gut is there for a reason and this study just confirms that the hunches are the most important. You get to be the S-source to advocate for your patient and recognize impending problems early. Have you ever gotten a hunch that something isn’t quite right? What do you do? Do you say something and, if so, how do you say it? Are you concerned about the fallout? Do you know of a way that we can communicate our hunches that will be accepted by the medical community so that early interventions can be made to save people’s lives? Let me hear your thoughts to these issues below.